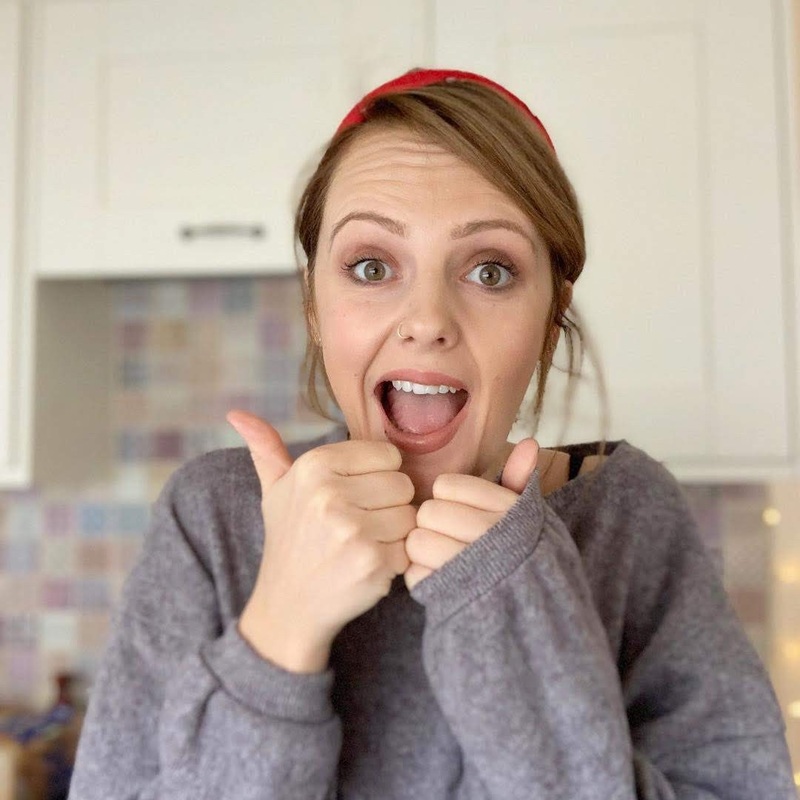 I love room tour posts, maybe it's because I like interiors or, maybe it's because I'm really nosy. 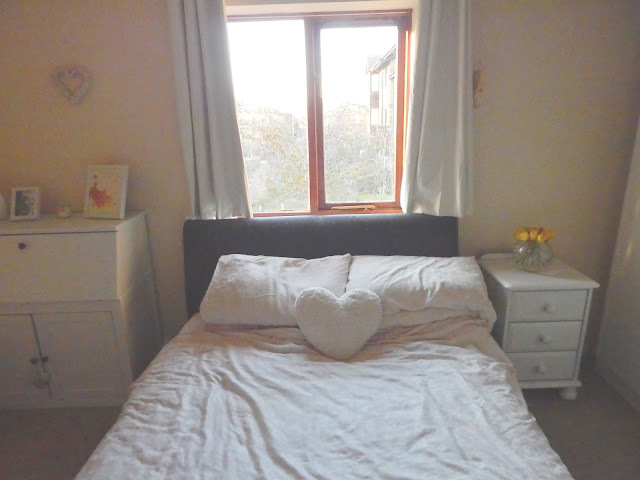 Since Linda and I moved into our fist home I've been able to design our rooms, decorate and upcycle furniture just how I we like. I've always wanted a bright , crips, fresh bedroom with white furniture and bedding and I have finally achieved that goal. We're by no means loaded so we had to style our room on a budget. We already had a bed and are in no rush to get a new one yet. The flat came with a large dark oak wardrobe covered with sticker stains and scratches. 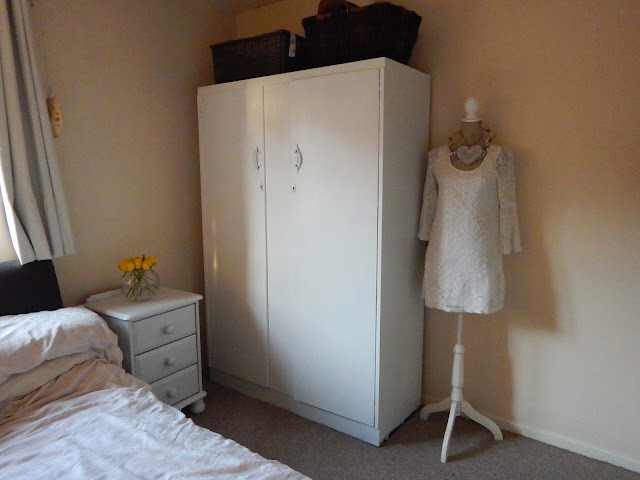 New wardrobes are pretty pricey and this one is the perfect size for the room. Our amazing Landlord said I could keep the wardrobe so, a week after moving in, I sanded it down, primed it and painted it white. 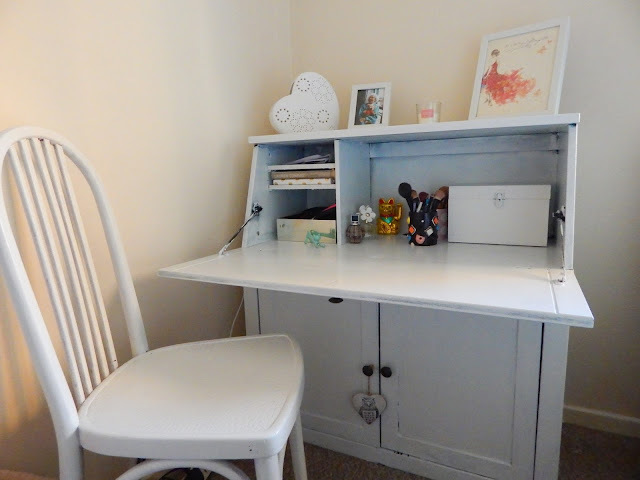 The chair was also painted, it was previously a bright a pink shade and with another coat of white paint, soon became the perfect seat to use when I'm at my bureau (previously posted about here). 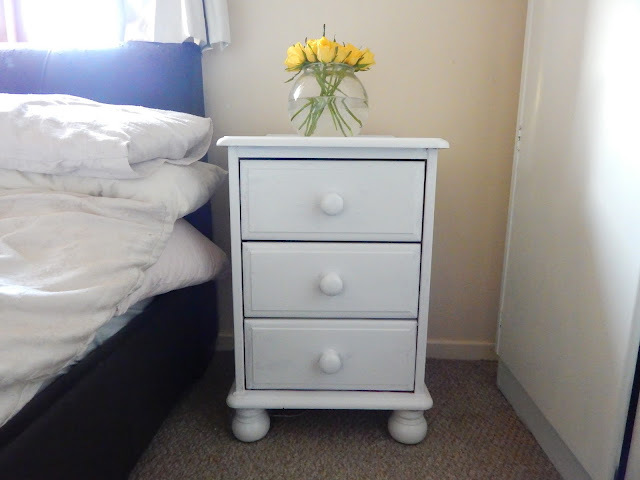 The chest of drawers was originally pine and also painted white to match the rest of the room as was the bedside cabinet that was previously my Great Grandmothers'. 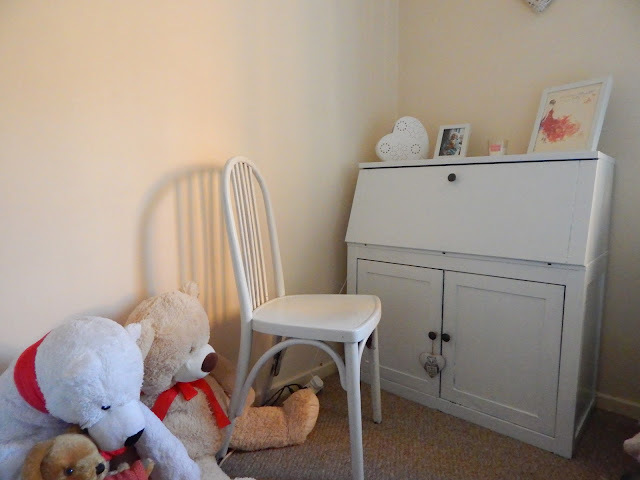 I wanted the room to be as clutter-free as possible, luckily my bureau stores all my makeup and stationary and obviously, clothes are kept in the wardrobe and drawers. On top of the bureau I've kept a scented candle I was gifted at Christmas, the Birthday card I got from my Mum last year because the image was too pretty to store or throw away and a framed photo of my Great-grandma with her beloved Edward Bear (who also lives in the room with the pile of other bears in the corner). 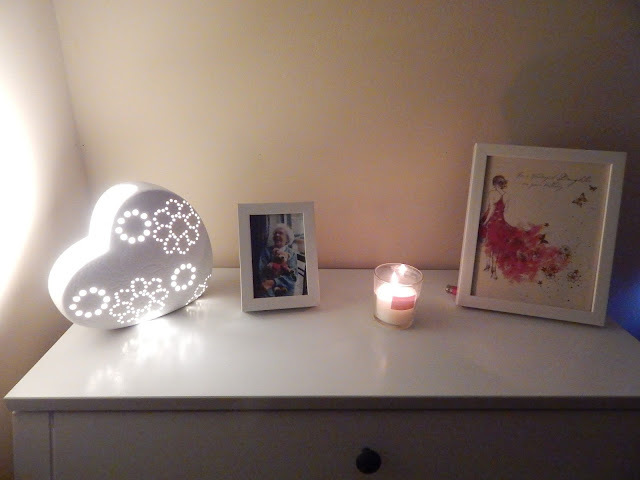 The heart-shaped ceramic lamp was a steal for £4.00 in B&M as was the butterfly drop chandelier-style lampshade. Next to the bed I want to try and keep fresh flowers in a goldfish bows that belonged to...guess who? I love the smell and beauty of fresh flowers and they're more than affordable when you know where to look. This weeks' are a bunch of yellow roses from Tesco for £3. Top tip: change the water daily, use slightly warm water over freezing cold and add a spoonful of sugar to make them last longer. I love the pop of colour the roses add, helping the room look less clinical. During the evenings, with the blackout curtains tightly drawn, the room becomes a warm and cosy sanctuary. 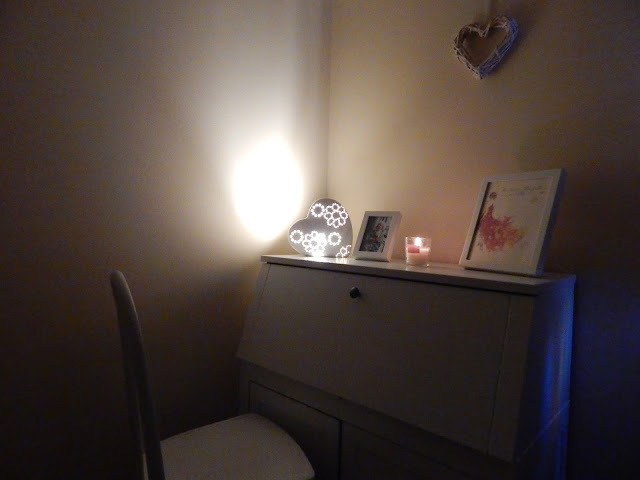 The warm glow of the ceramic heart lamp mixed with some candles makes it a perfect space for snuggling down to watch a film or, read a book. 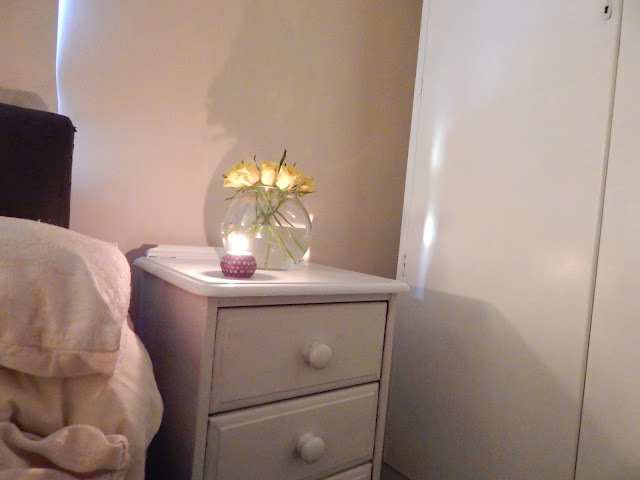 I'm so happy with how the room has come along, the only things we want to add are a large mirror on the biggest wall of the room to reflect the light from the window and some sort of plant in the window to help with the condensation and add some colour. Serious question, can lemon trees live indoors? I've seen a beautiful one that'd fit perfectly in the market in town with actual lemons in it. 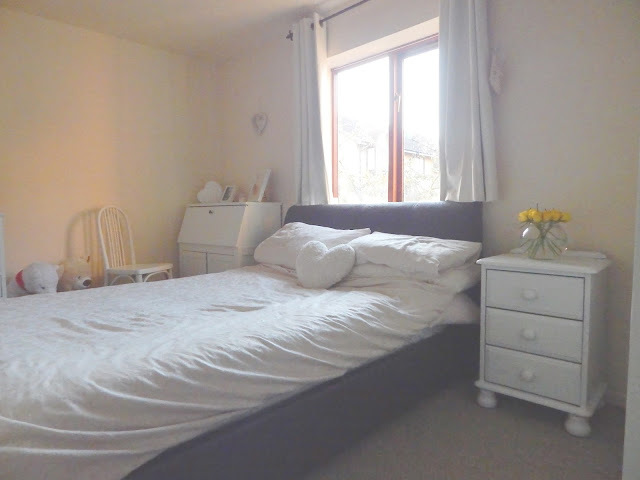 Your room looks amazing! So bright and fresh. You have put a lot of effort into it!